Talk about you are what you eat! 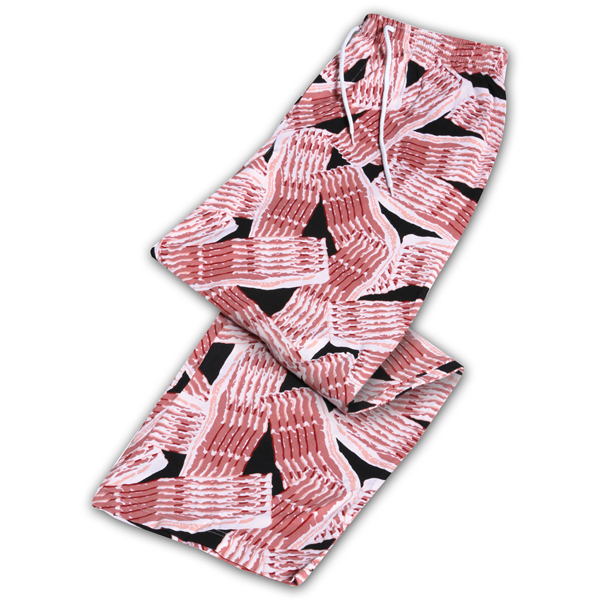 Super-soft 100% cotton in an amazingly realistic fresh bacon print and a comfortable, forgiving stretch. Elastic drawstring waist. Machine wash. Imported. S-XL.